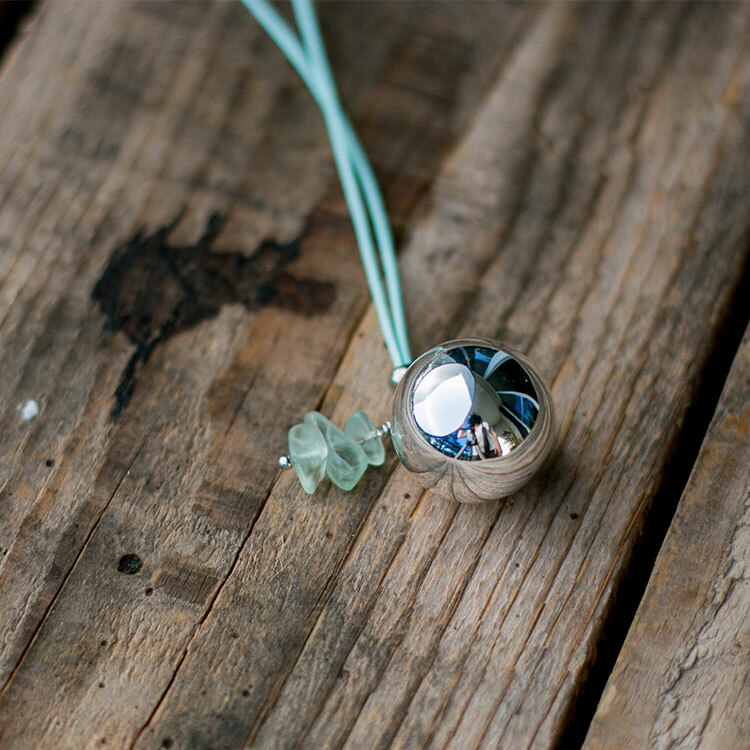 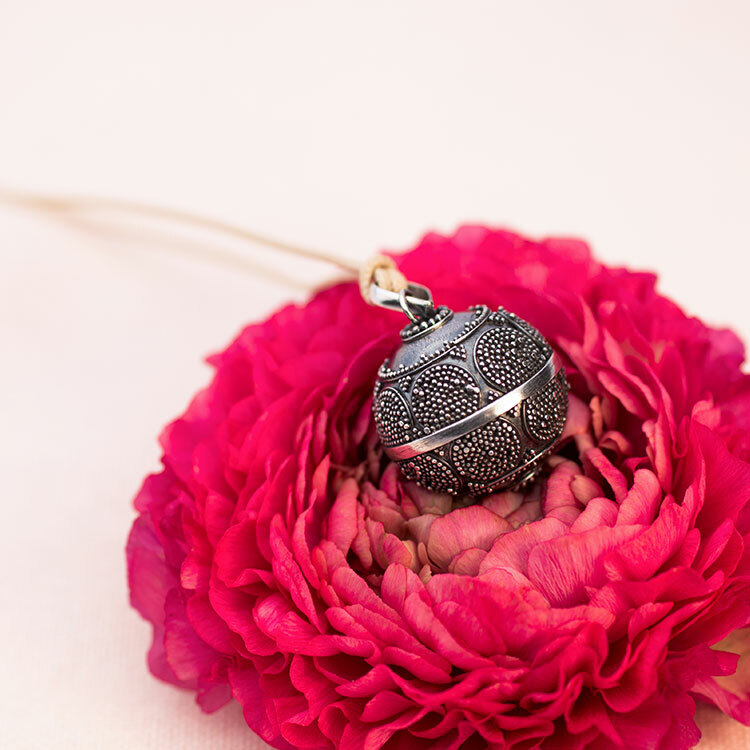 The harmony ball, is a mom to be necklace that will enhances the baby bump of the expectant mother. 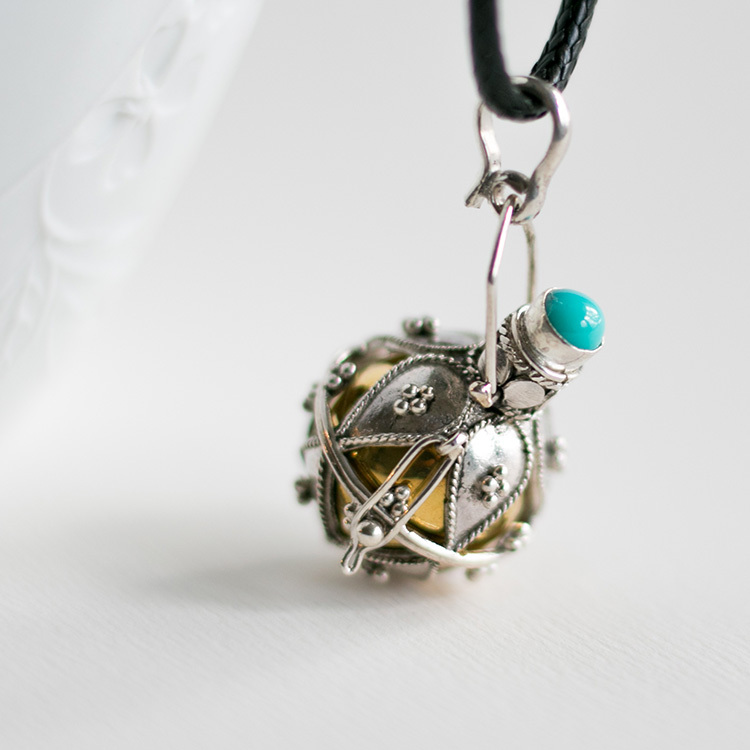 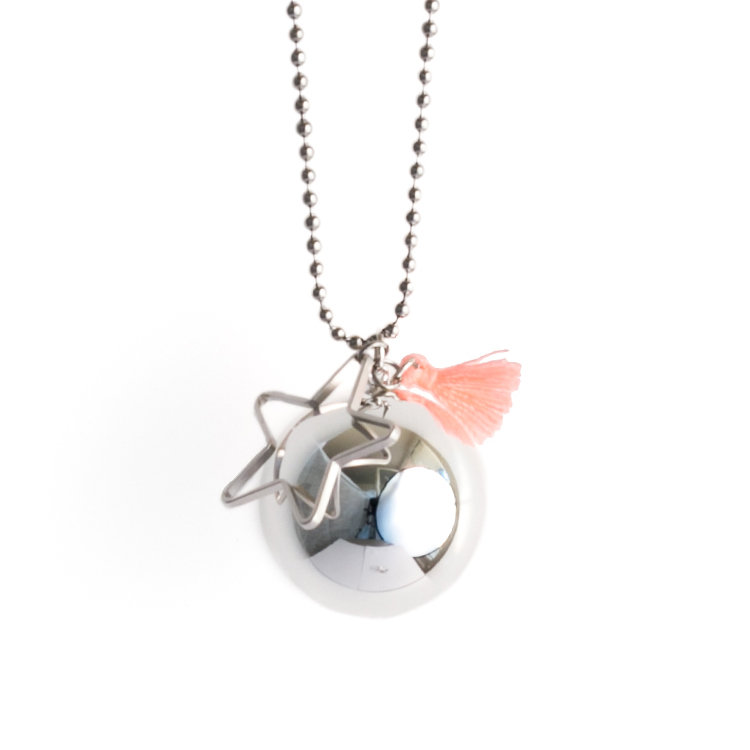 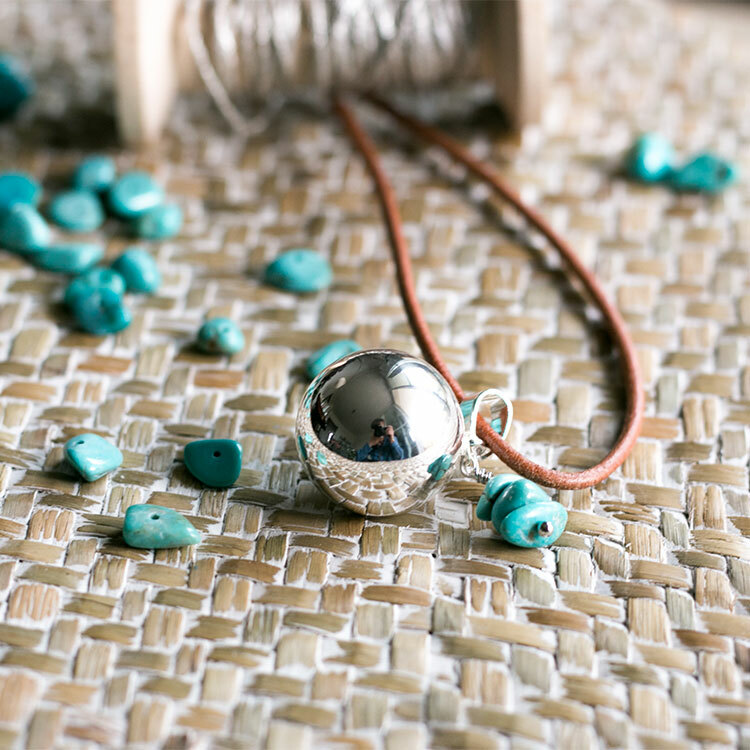 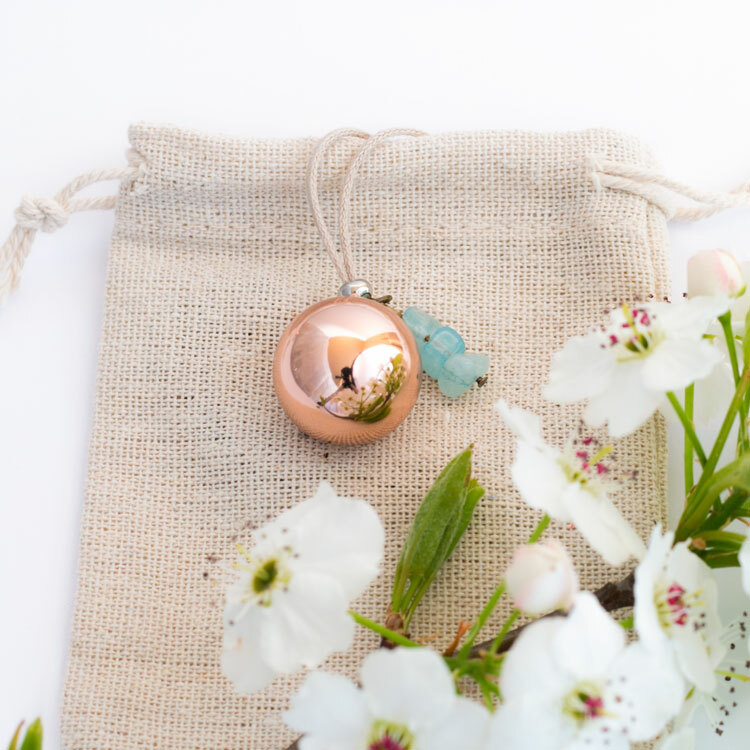 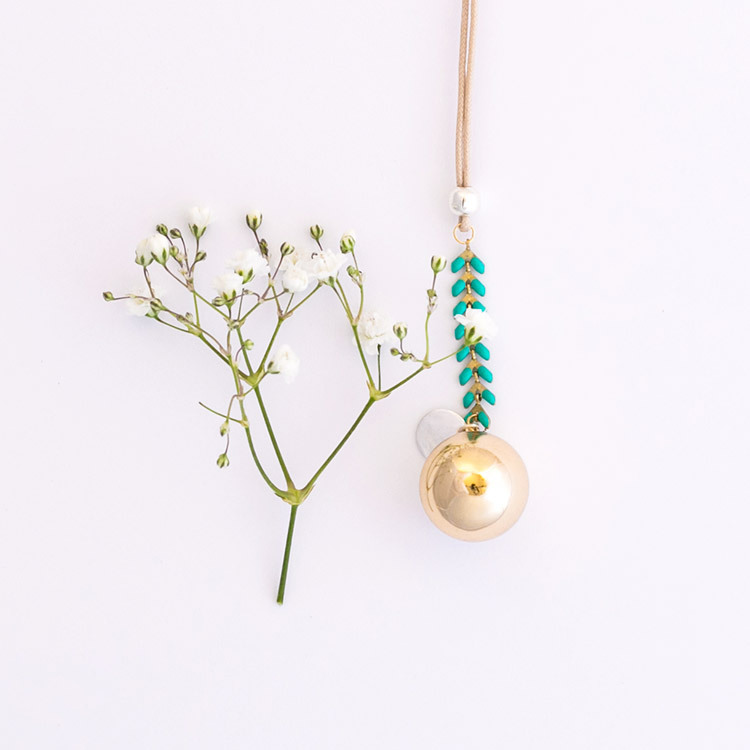 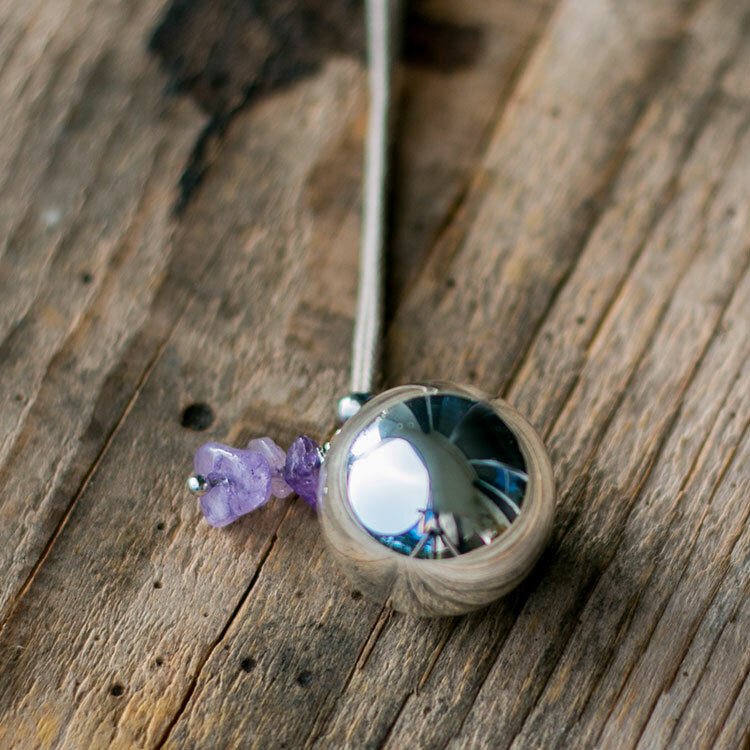 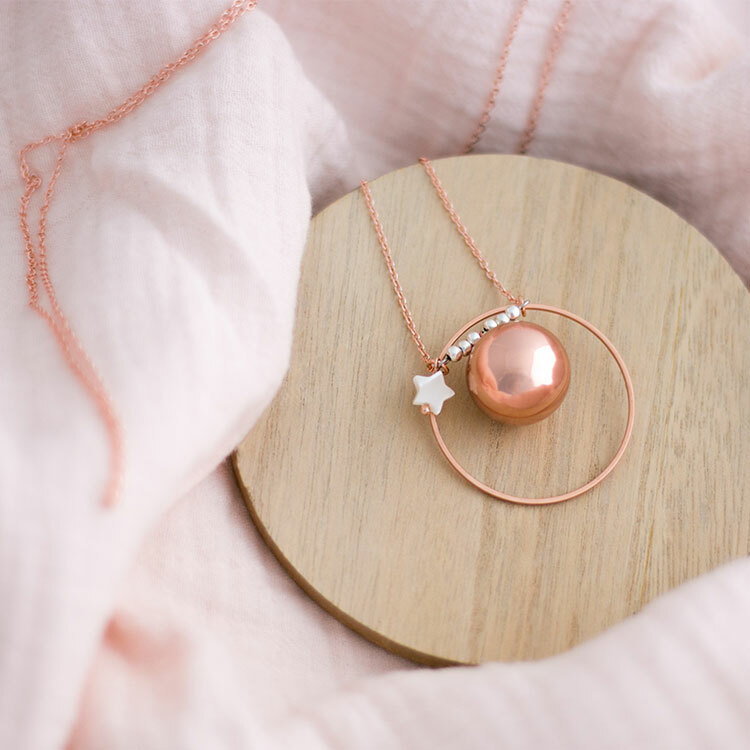 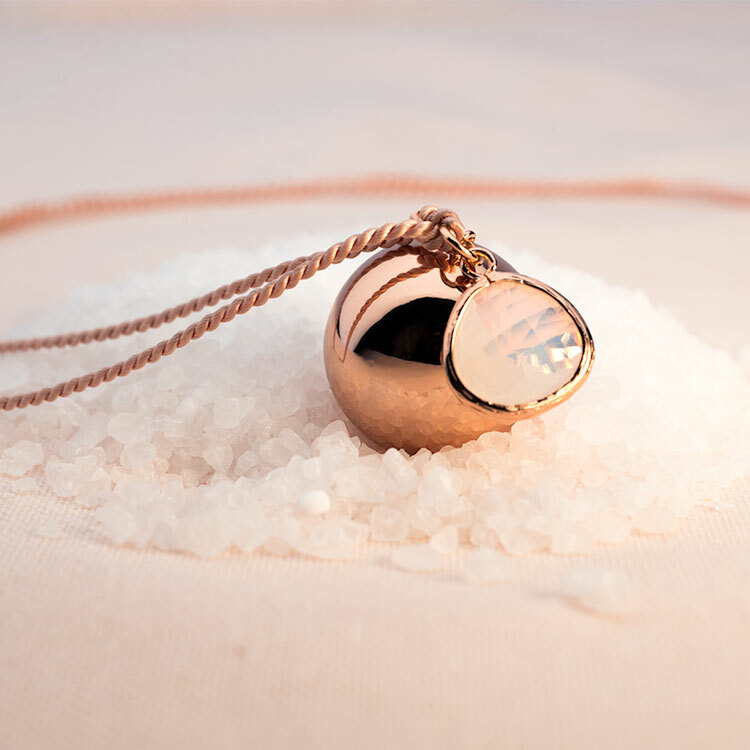 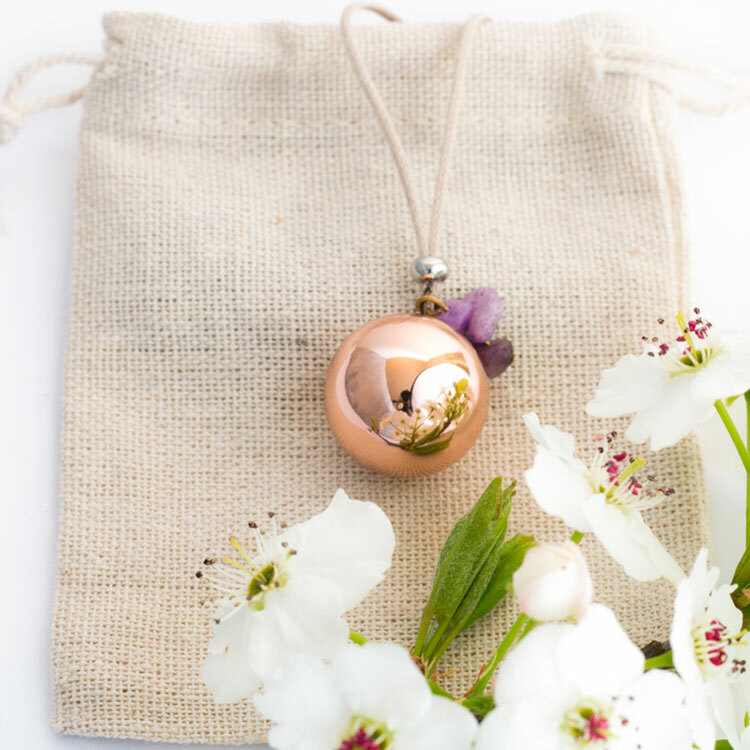 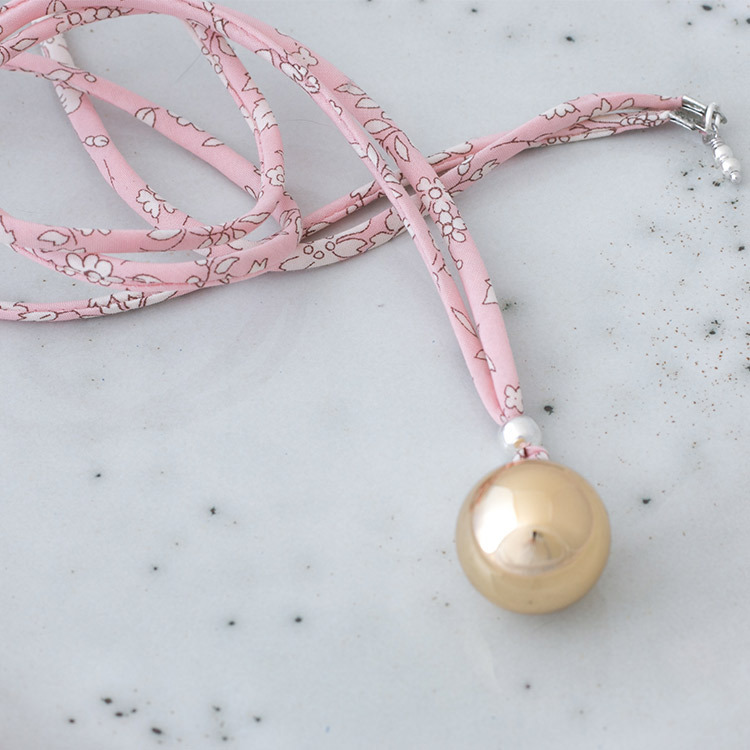 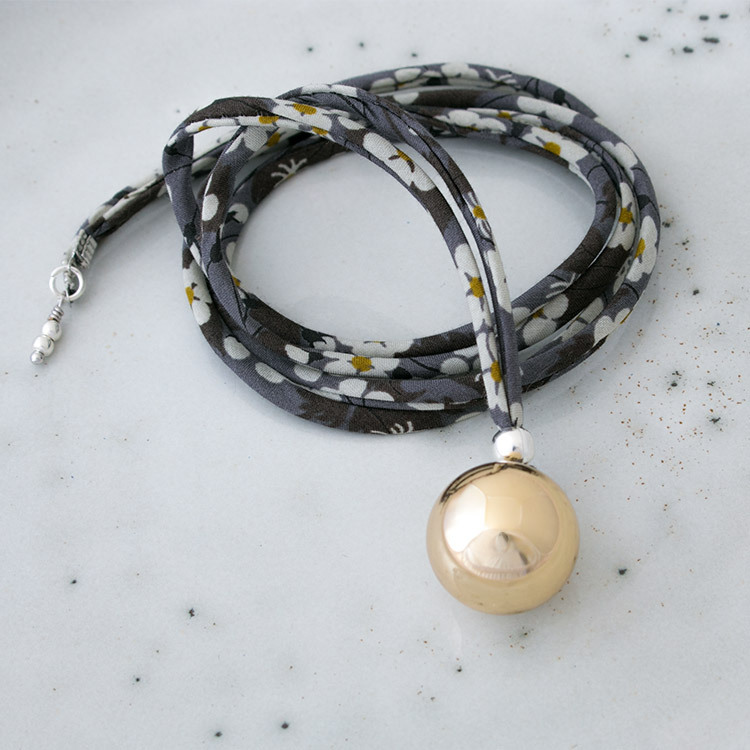 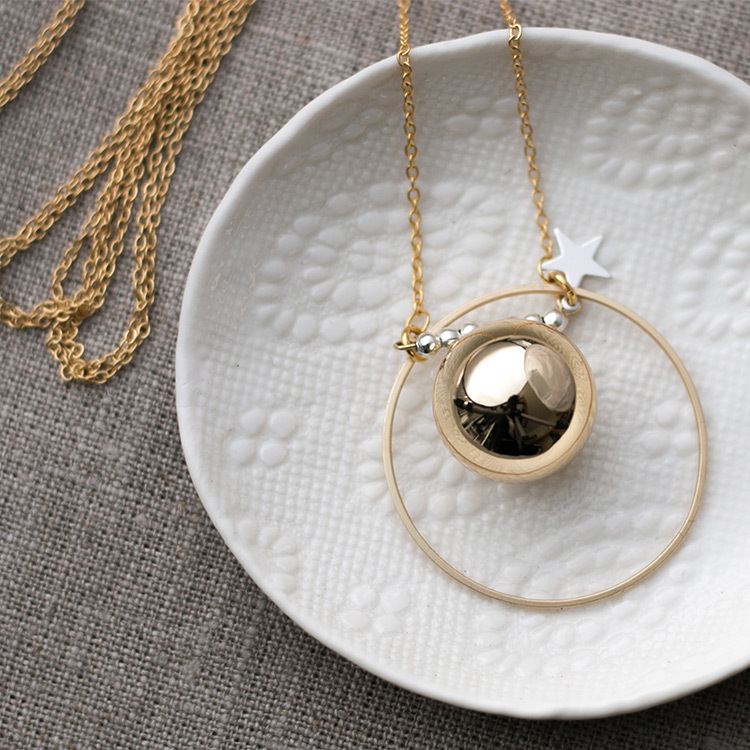 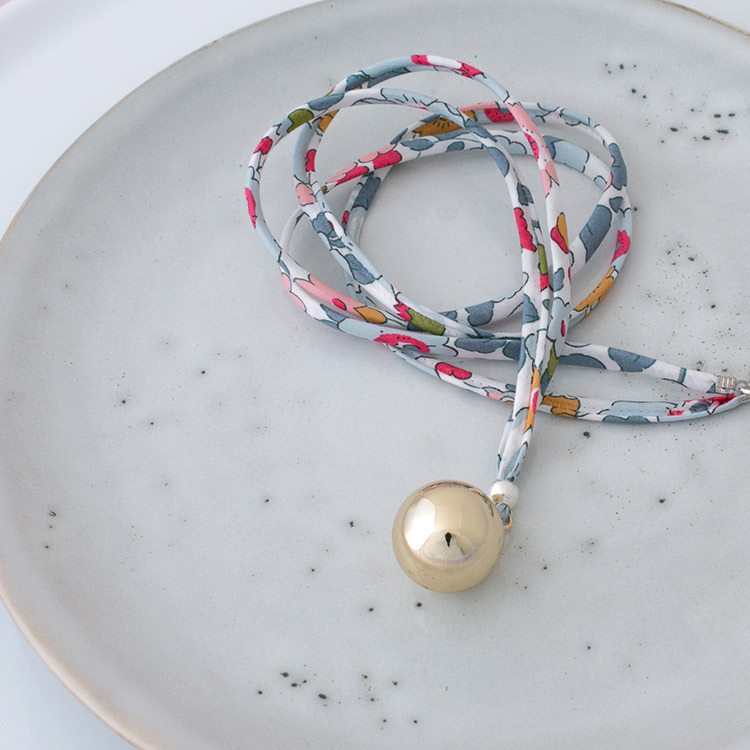 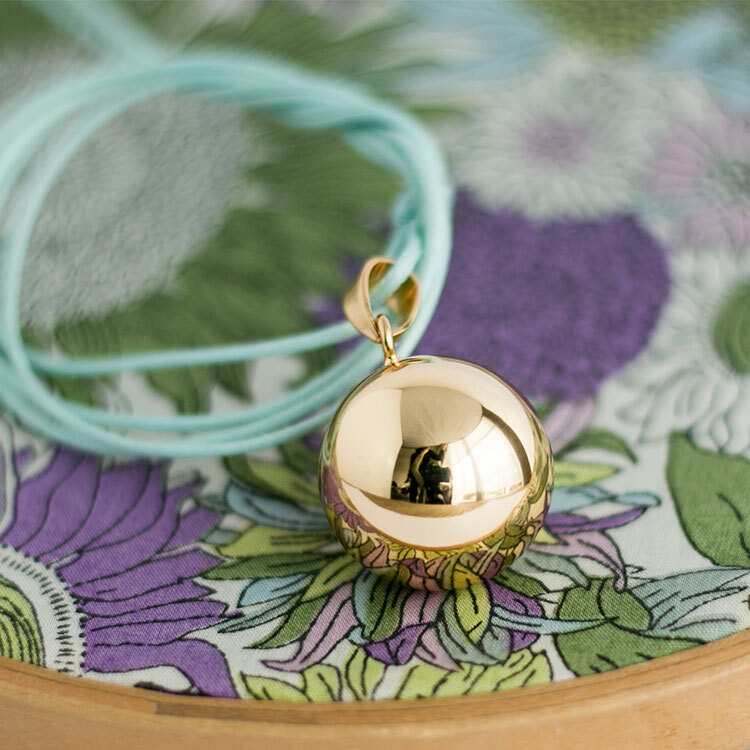 This circle necklace contains a small bell, and it is putting the baby to sleep during the whole pregnancy thanks to a soft and melodious sound. 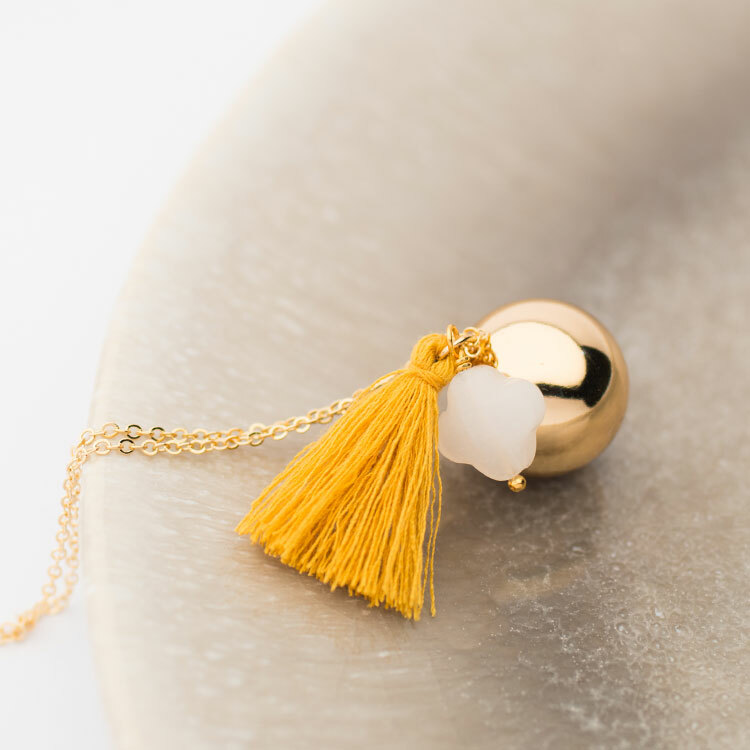 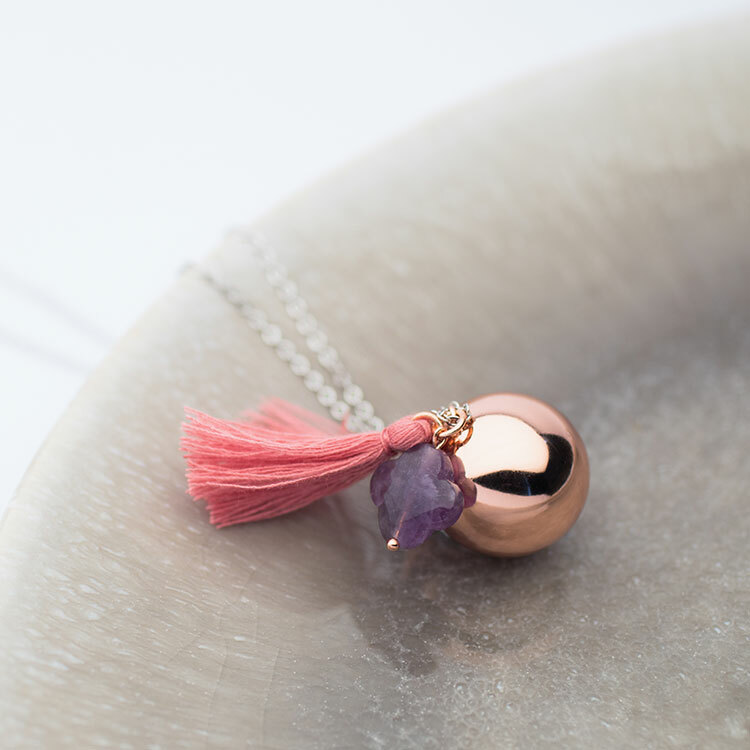 The harmony necklace comes from Indonesia. 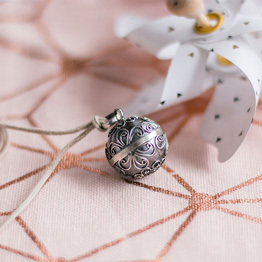 Regarding ancient customs, the Balinese pregnant women were used to wear it in order to keep the dark spirits away from their baby, and calm them down. 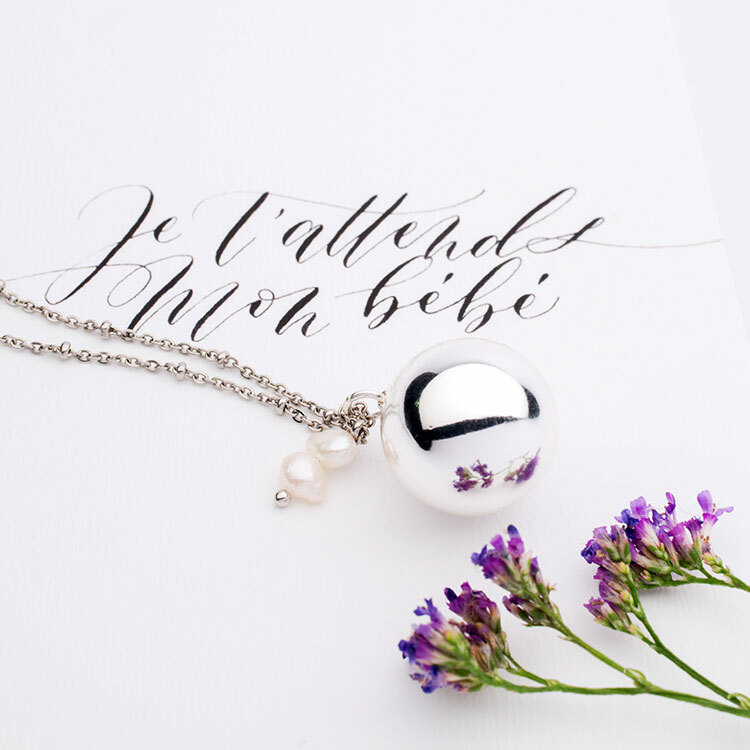 Treat yourself to a charming pregnancy necklace of ours. 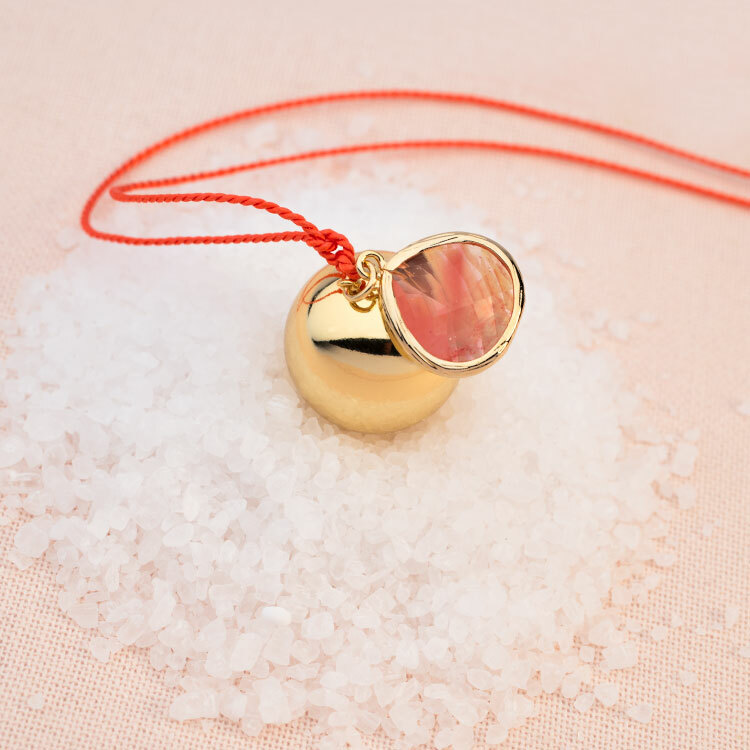 Why should anyone wear a harmony necklace ? 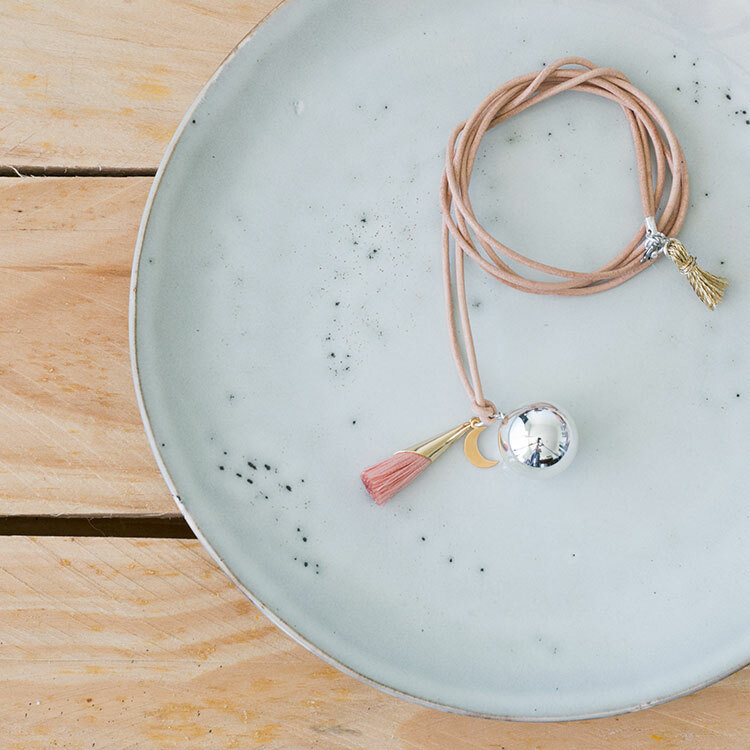 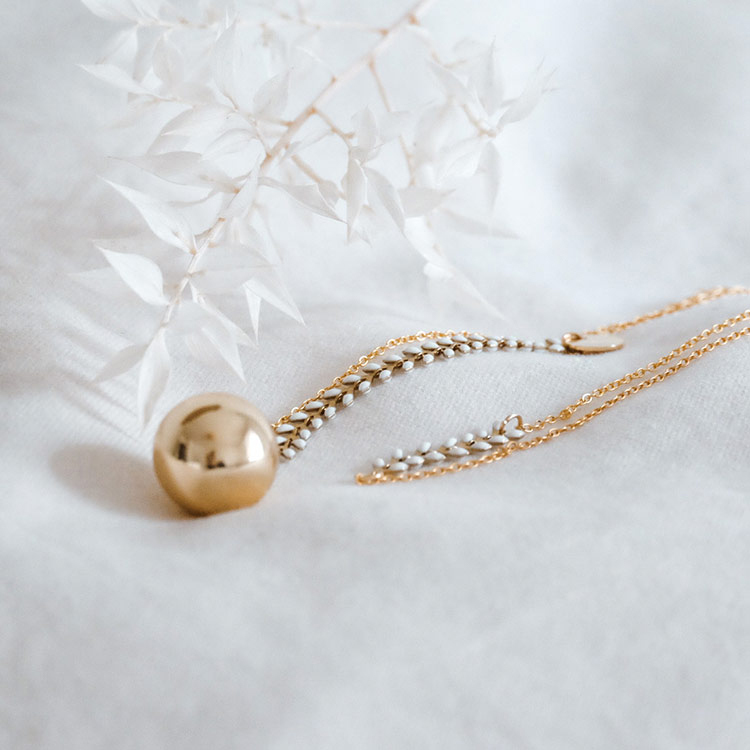 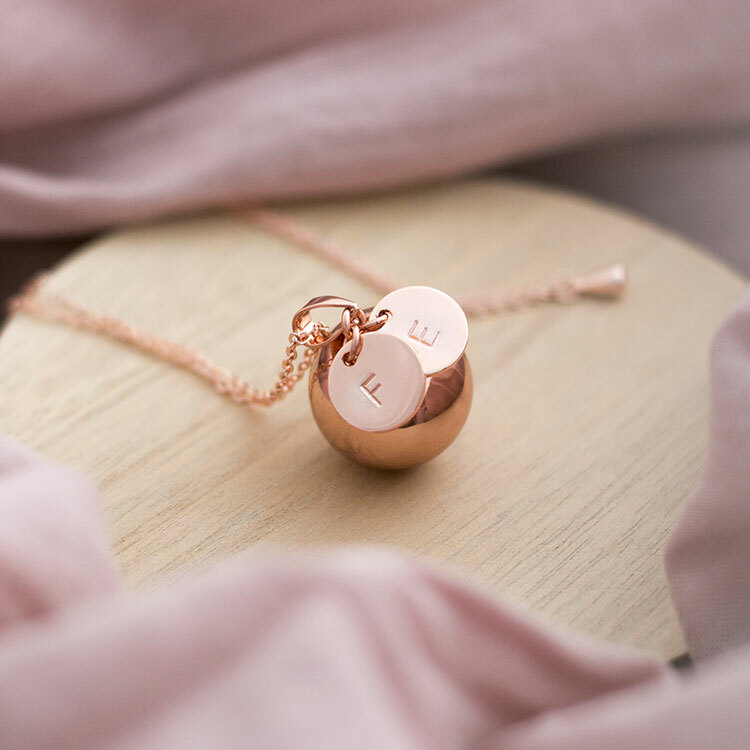 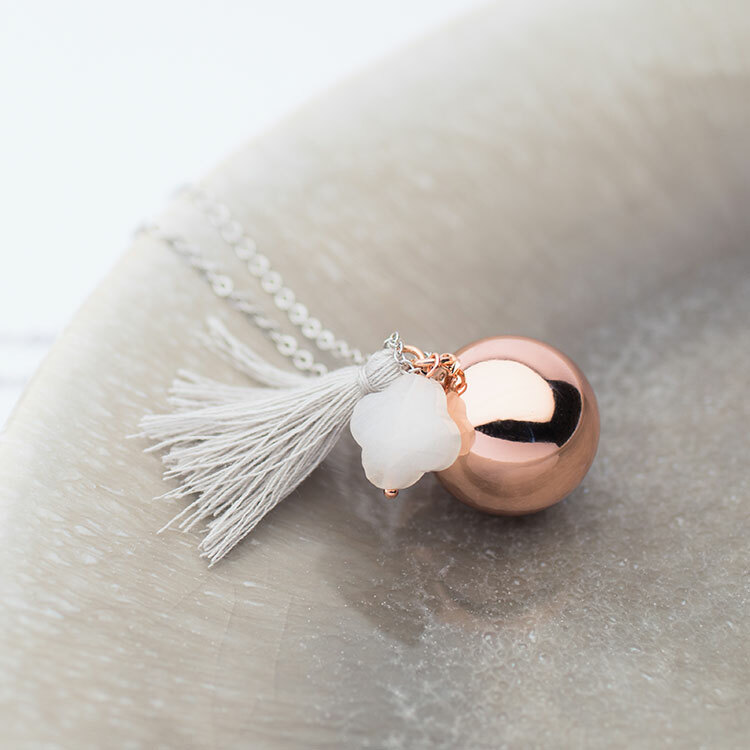 The harmony necklace is still confidential in France, and it also is known different ways: pregnancy necklace, Bola, pregnancy jewellery, circle necklace … but it is becoming a must have. 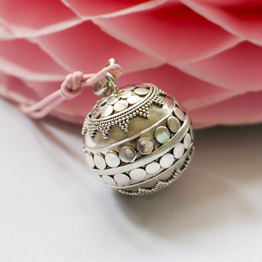 It certainly is doing so because it enhances the baby bump in a posh and elegant way. 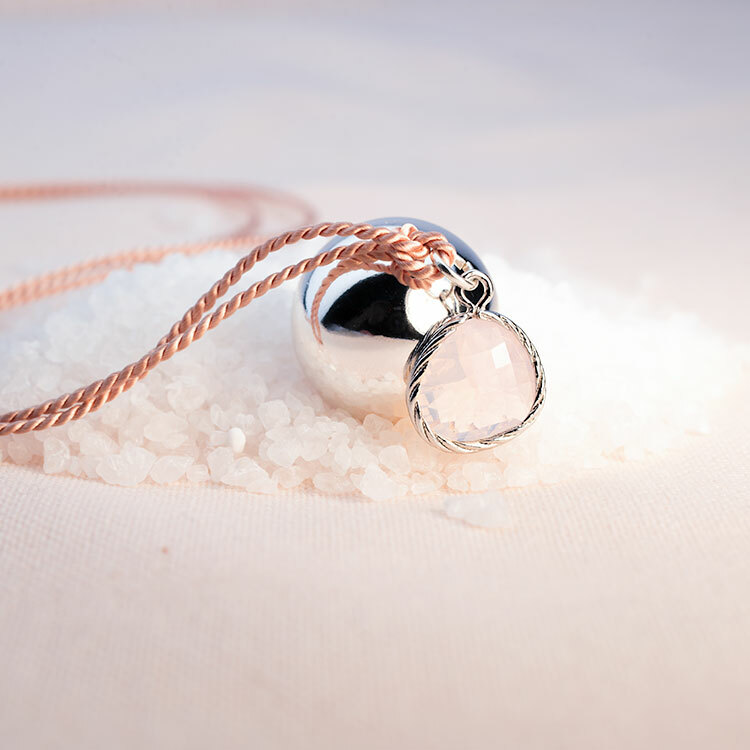 The expectant mother can wear it during the whole pregnancy. 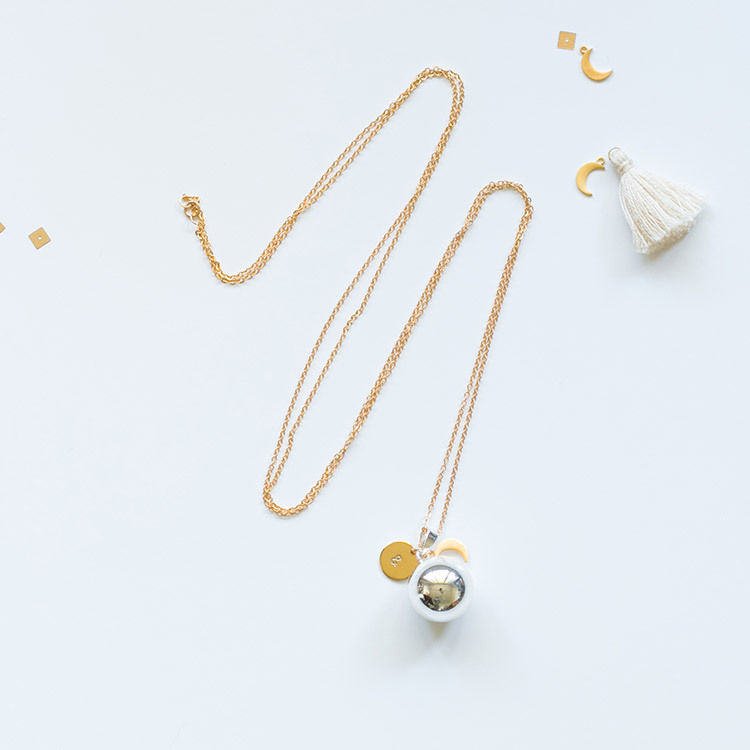 Generally speaking, we recommend wearing it from the 4th month, as it is just the moment when the infant’s hearing starts its development. 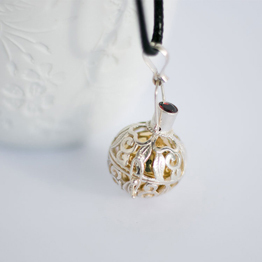 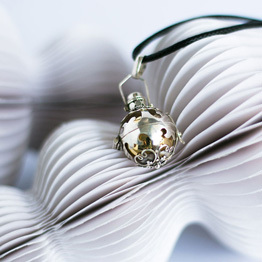 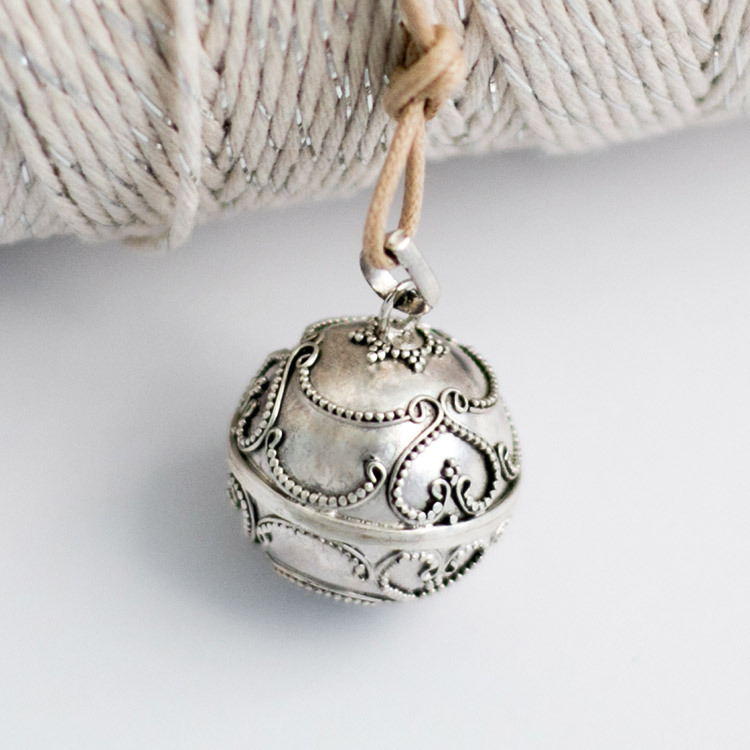 The harmony ball is a pendant, or a necklace; it is made of a cord, or a chain that length is usually around 100 or 110 cm. 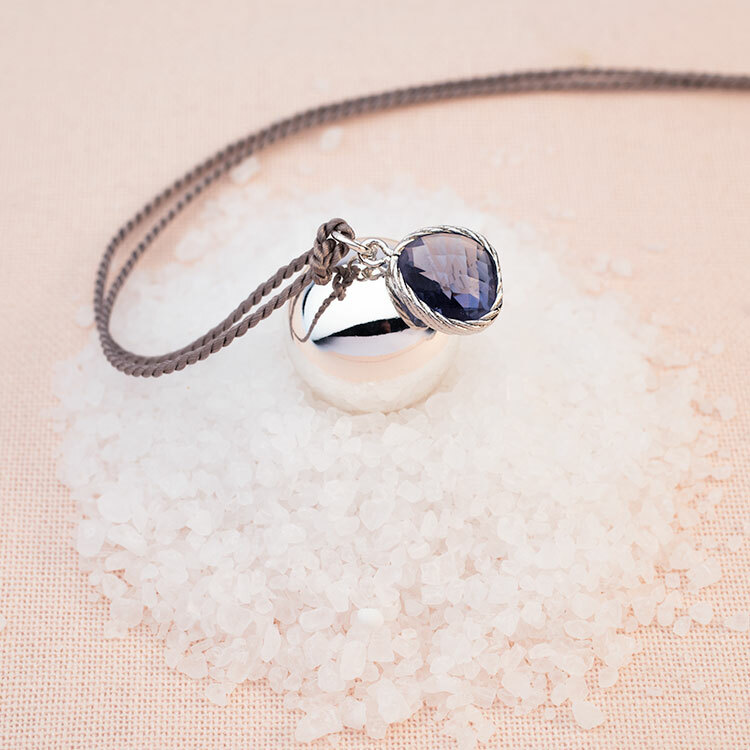 We have chosen to present exclusive jewellery that for some of them we create in our own studio in France. 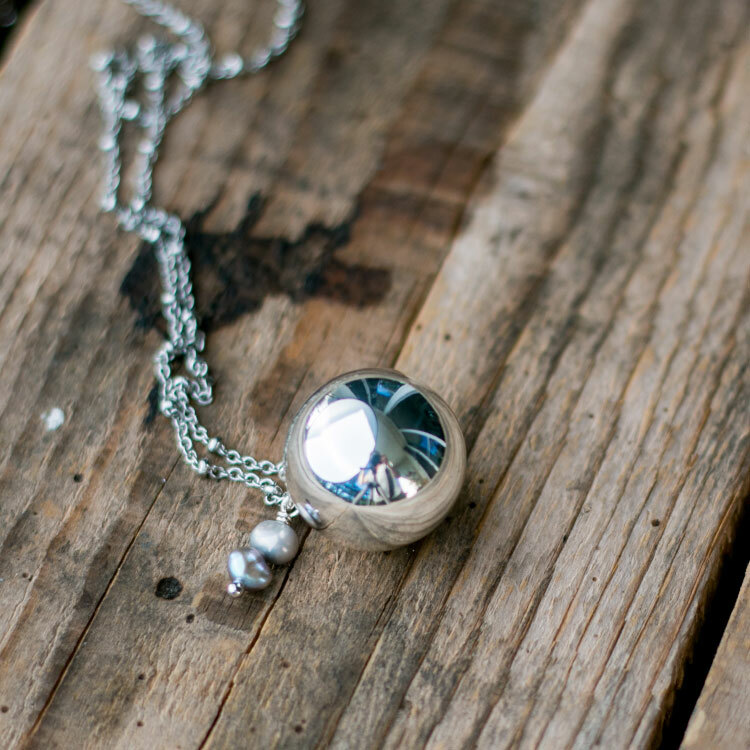 For other models, we’ve decided to work with other ateliers: for instance, our sliver-925 harmony balls are the results of a strong collaboration with a studio specialised in silver-925 who customise them all. 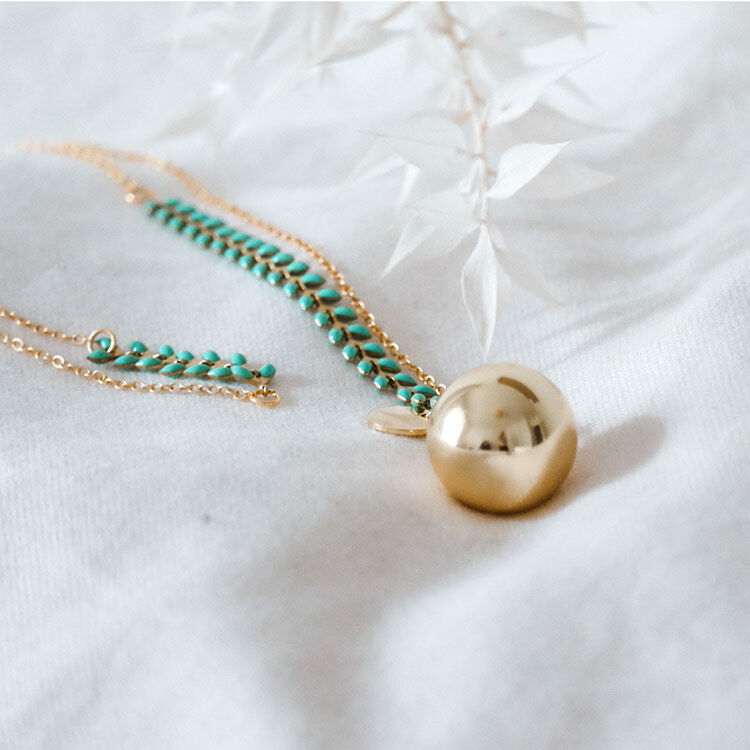 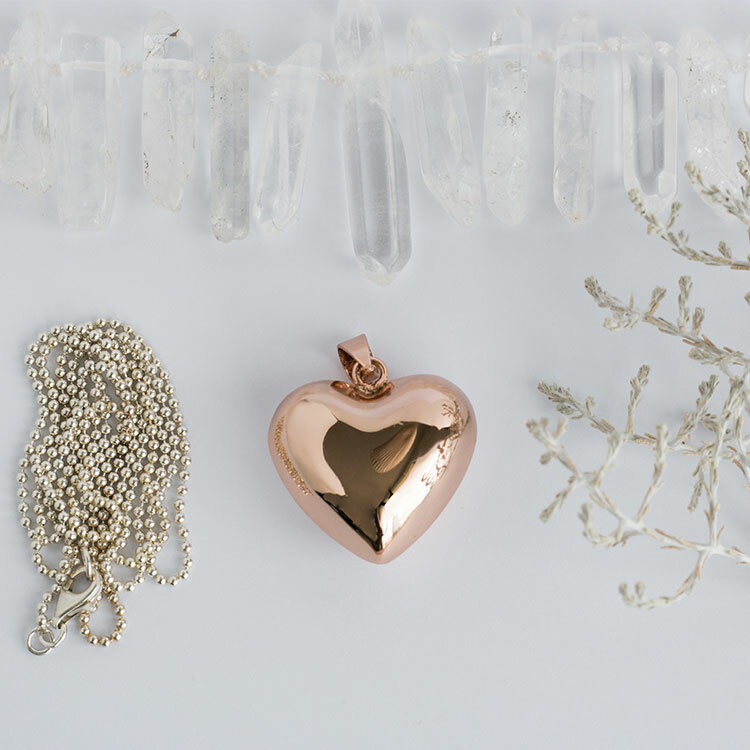 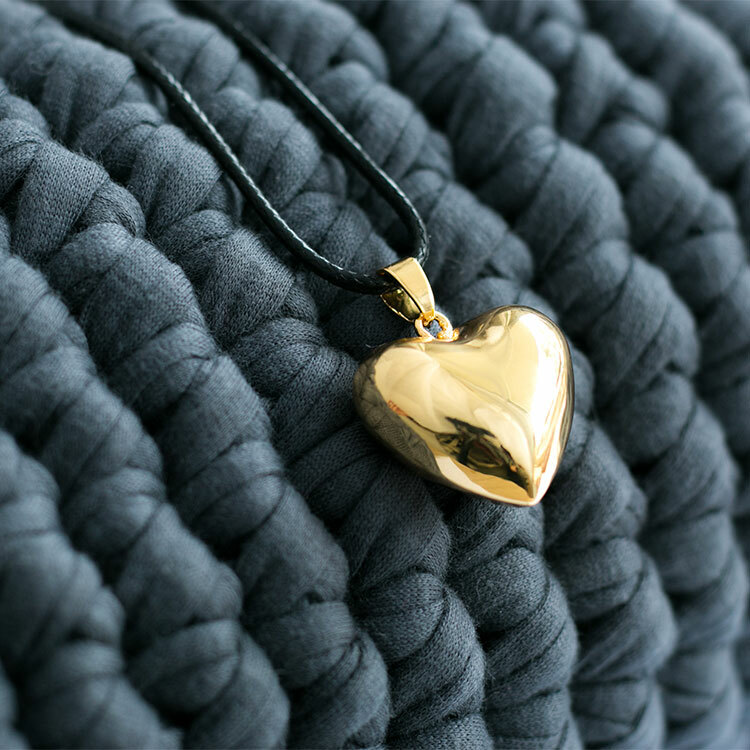 Each piece though, is a unique jewel, made with love and exactness in order to be embraced by a mom to be to rock her baby. 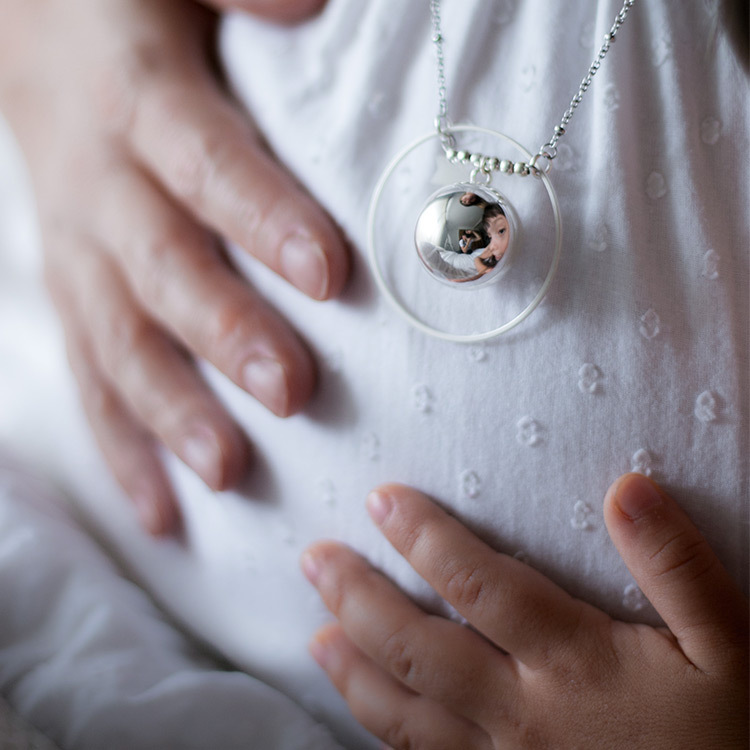 Our pregnancy necklaces are more than simple jewels.